St. Stephen's Day in Croatia celebrates St. Stephen, the first Christian martyr. This holiday takes place December 26th every year or the day after Christmas. On this holiday people spend time with their family and friends. They also visit churches, markets, carnivals, and festivals. Schools, banks, post offices, and governmental offices are closed. 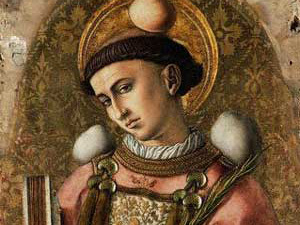 St Stephen, who was believed to be the first Christian martyr, was stoned to death in 33 CE. St Stephen's Day became an official holiday. Provides calendars for the calendar year for Croatia. Provides the dates for holidays for the calendar year for Croatia.